1. In 2016 I did NaNoWriMo. I didn't finish writing it by the time November finished but by the time the school year ended, because of the prodding of a student, I did finish it. It was real and it was spectacular (that's for you, Seinfeld fans)... or so I thought. 2. During the next year I daydreamed, wondering which publisher would snap up my manuscript. If Simon and Schuster was stupid enough to pass on it, perhaps a smaller publisher? It turns out I was half-right. Margo had a quick turn-around time, but her two solid pages of feedback involved more than five words... and nowhere did she say my writing was perfect, that it needed no work. 4. When I read (and reread... and reread) Margo's critique, I spent a day laughing--at myself. It was laughable for me to even think that my 25,000-word WIP was even in the same neighborhood as perfect. No one had read it besides me (and a few curious middle-school students). I also found it hilarious that I had managed to write about an event where 300 had been massacred... and tension/excitement was barely even hinted at in my story. That takes loads of talent something to be able to do that. Loads. 5. I pretty much scrapped most of my 25,000 words. I put them into another file (which is what Margo told me to do, in case I need them later) and started telling my story. Again. 6. In early November of 2018, I was almost finished with the new draft. I just had a few holes to fill in. I went on a retreat and spent two days reading the story to myself, out loud but quietly. There were lots of red marked spots that needed to be fixed. I came home and spent the rest of the month fixing and hole-filling. 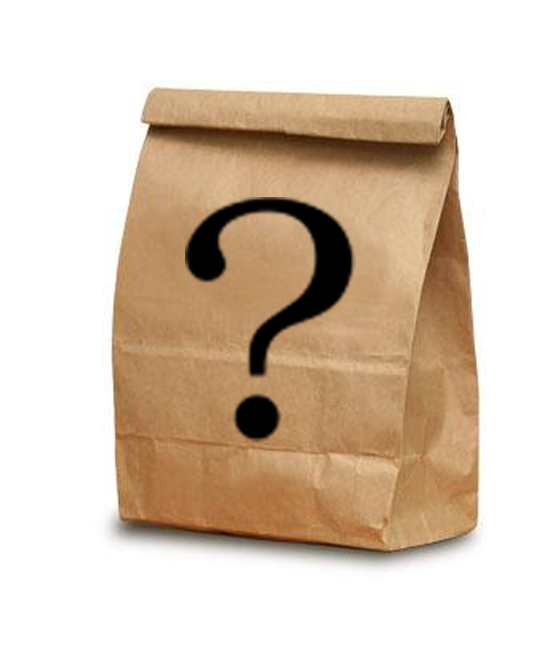 There was only one small (but important) plot hole that needed to be filled in: there was a "mystery bag." I had come up with it, had a character grab it and take it with them, but I had no idea what was in the bag. By the time I got to the end of the story I still didn't know what was in the bag. While I was still at the retreat I emailed Margo and told her I wanted to hire her to critique my manuscript again. It was almost finished. I'd send it to her. At the end of November or early December. It was December 6. I still didn't know everything that was in that pesky bag. 8. ... And then serendipity smacked me upside my head. You know serendipity, right? The phenomenon of finding valuable things not sought after. One of the pointy things that's in the bag is a recipe box. This weekend I can indeed finish my manuscript. I had decided earlier on two of the bag's contents. Now the bag is filled. 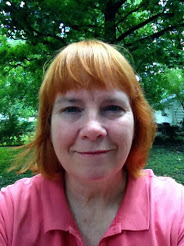 Sioux is a teacher, a consultant with the Gateway Writing Project, a dog rescuer, a wife, mother and grandmother. She is hoping to (someday) have a book that is 100% hers. If you'd like to read more of her writing, check out her blog. Sioux, this is terrific news for your book. Congratulations on doing a revision and being almost to the finish line. I'm really happy for you! J. Glenn--Congratulations on your recent recognition and honor from WOW. There are probably other awards you've won recently that I'm not aware of. Yes, I can see THIS current finish line. Of course, the finishing of a next draft doesn't mean the final finish line is being crossed... but perhaps I'm closer. Sioux ~ I didn't know you'd scrapped most of your 25k words and have been writing! This entire time I thought you were editing and rewriting. You've been quite prolific this year--bravo! Oooh, so you have a treasured recipe box in your bag...what else? That's what I love about fiction! It's so much fun coming up with these ideas. Good luck, Sioux! Keep us updated! Angela--Thanks for the good thoughts. I'm going to need all the luck I can get. Don't you love it when the universe tells you exactly what you need to do? I'm happy for you, and look forward to reading your book! Mary--I look forward to it becoming a book. Serendipity....my favorite word. Am sure you are on to something. Anna--Good luck with "All Eyes on Alexandra." It looks like it's a lovely (and important) picture book.